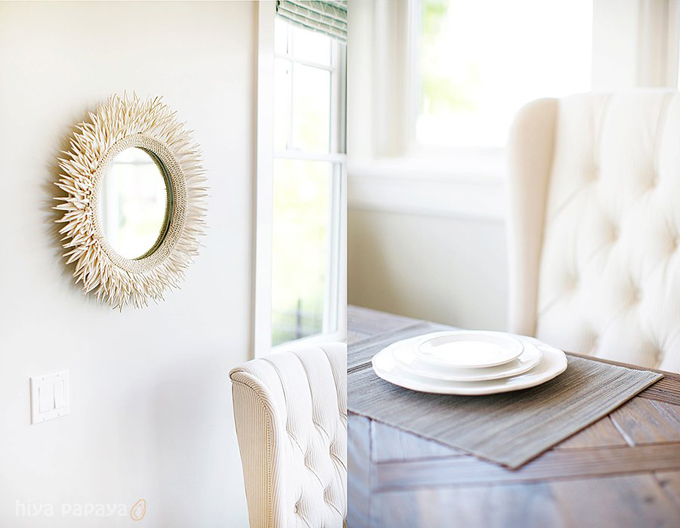 Juneberry Lane: A Dream Home Tour: Part 3 . . . If you have been following our series, 'A Dream Home Tour', over the past few weeks, you already know the exterior, foyer, living room, & sunroom of this gorgeous home will make you swoon, but the final three parts of this series will simply take your breath away. Up next, we step inside the most beautiful kitchen and breakfast nook, brought to you by House of Turquoise and designed by Lindy Allen. 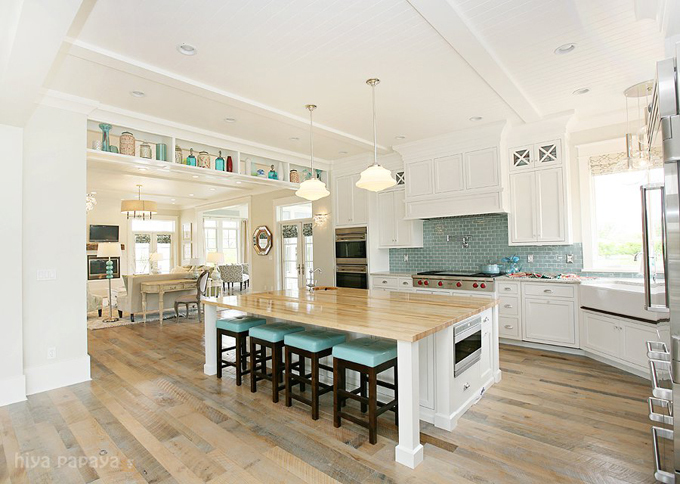 Beware, once you spend a moment inside this lovely space, you will either be totally depressed with your own digs or ready to break the bank with your own remodel. 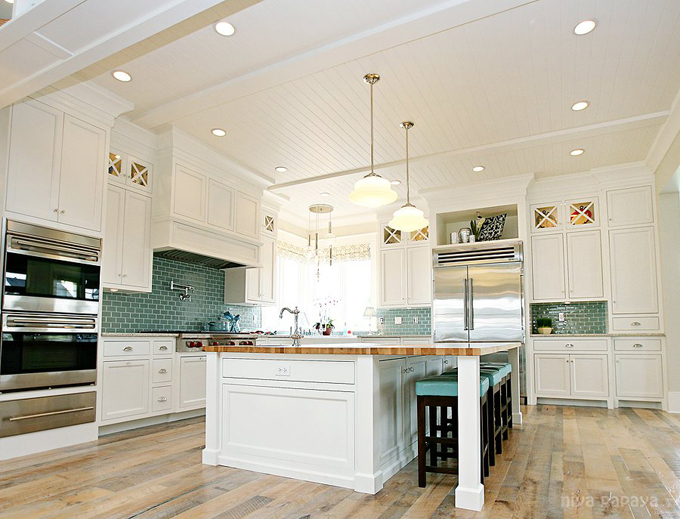 But let's just hope you feel inspired to bring a little more personality & splendor to the place where everyone truly likes to spend the most time; the heart of the home, the kitchen . . . 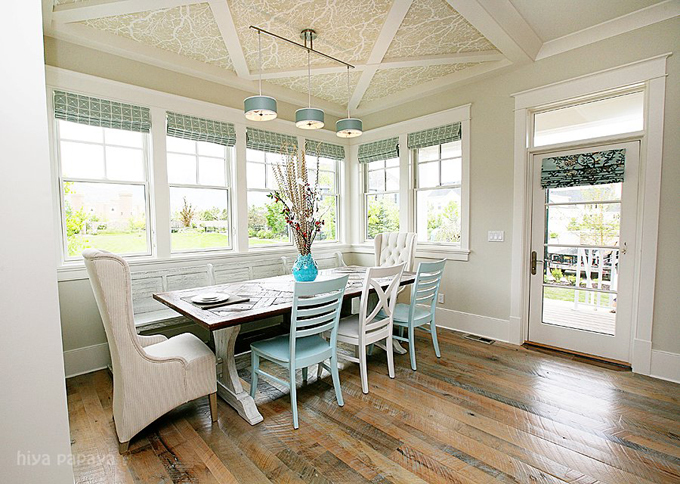 The floor in this home was reclaimed from an old barn out east, how wonderful is that? And how about those turquoise bar stools . . . 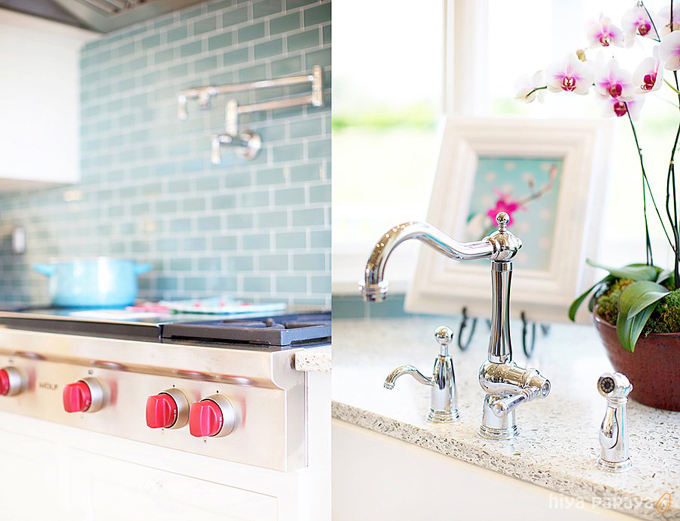 I just love how the cool turquoise is complemented with a hint of warm magenta. 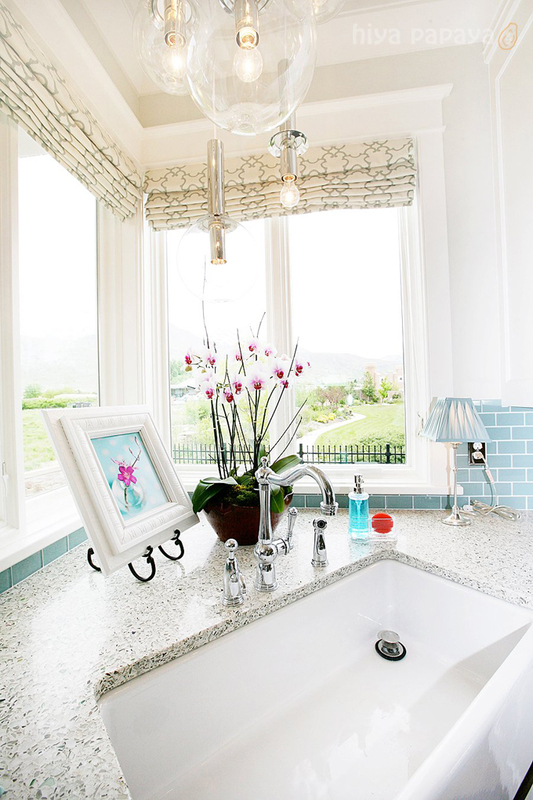 And those window treatments over the sink are just to die for . . .
See this close-up of this stunning countertop? 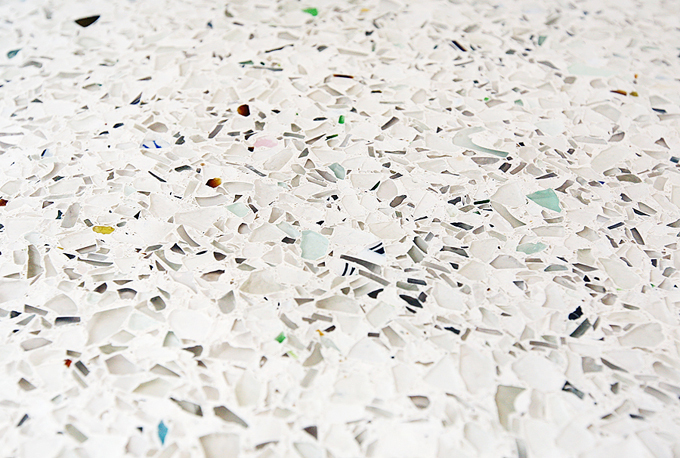 A company called Vetrazzo makes them out of recycled glass...you can even read words on some of the pieces. So much cooler than granite, don't you think?? Even the oven knobs are dreamy . . .
And please don't forget to take a peek up at that fabulous ceiling . . . There you have it! Stay tuned for part 4 of our tour, coming up next week!